The Disability Action Center is pleased to offer our Feel Good Laundry service to individuals and businesses in the Fairmont and Marion County area. 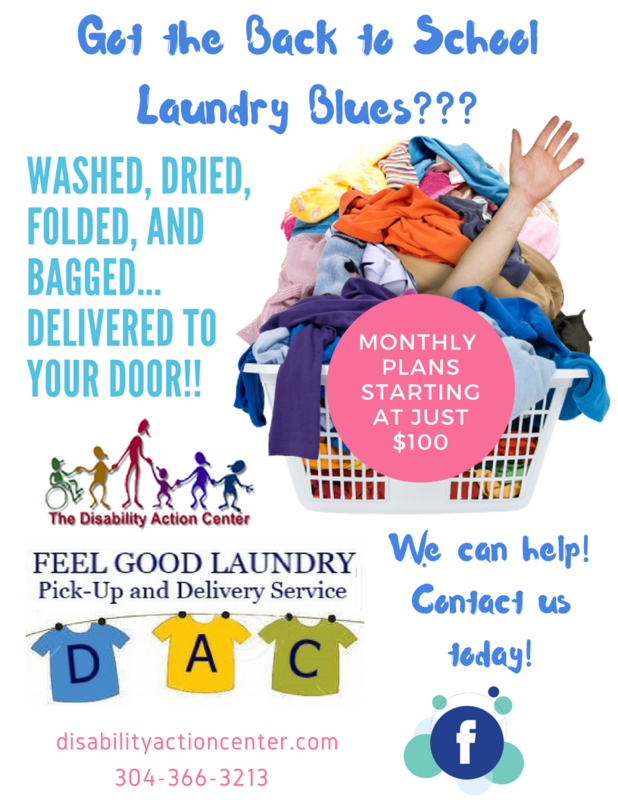 Feel Good Laundry is a part of our small business projects, employing individuals with disabilities and providing a valuable service to the community. Other Feel Good projects include Feel Good Fitness and Feel Good Cleaning Services. We believe that by supporting individuals with disabilities in the workforce, you not only receive a quality experience and outcome, you create and environment to Feel Good, Do Good, and Live Good. Feel Good Laundry is equipped with fully accessible laundry equipment and supplies and provides not only a quality service to the community, but also a quality work environment for our employees.